With Luciduals as your partner in website design and development you can be assured that your needs will be addressed and quality delivered. On the web users want to easily and quickly find the information that they need. We design great websites to deliver your customers what they need in the most efficient manner. There are many technologies and platforms to choose from and here at Luciduals we focus on utilzing great tools to devlop your website in the most efficient and economical manner. WordPress is a favortie system we use to develop many of our sites. From complex projects to quick and simple solutions, Jay at Luciduals designs, develops, & delivers websites with exceptional service! What is Luciduals and How Do You Say It? It's pronounced like Lū - sid - ū - uls. Luciduals is a word that I invented and it's definition is found below in the footer. Once you've got it down it will roll off your tounge just like supercalifragilisticexpialidocious. And what is Luciduals? Luciduals specializes in website design and development. We pride ourselves in excellent service and quality websites. Our expertise will help you get a website that meets your needs. Luciduals focuses on the technical aspects of website design and teams with April Vaughn Marketing and CruzBrand to offer you full service in all areas of marketing from graphics, branding, print & websites. 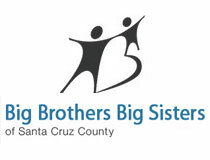 Rescued Big Brothers Big Sisters of Santa Cruz County with repair and complete makeover of their website. 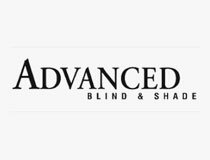 Complete website makeover with re-design, layout, & content for Advanced Blind & Shade. 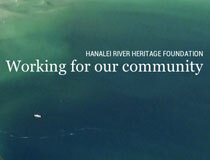 Brand new WordPress website for the the environmentally conscious Hanalei River Heritage Foundation. Lucid: Easily understood; completely intelligible or comprehensible. Dualism: The state of being dual or consisting of two parts like the Zero's and One's at the core of all computer processing. Luciduals: An easily understood presentation of the zero's and one's that drive your website. The best of Santa Cruz Real Estate is found at SantaCruzHomes.pro. Sculpture, Furniture, and Inspirations by Jay Palmer Arts. A paradigm shifter in evolution and collective consciousness with quantum technology by Bottle Of Love.